O’HARA, WALTER, soldier; b. about 1789 in Dublin, son of Robert O’Hara and Fanny Taylor; d. 13 Jan. 1874 in Toronto, Ont. Walter O’Hara’s family was from County Galway, Ireland. 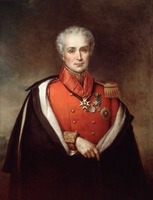 He graduated in 1806 from Trinity College, Dublin, and took up a military career, serving in the 91st and 47th Foot of the British army and in the 7th Caçadores and 1st Line Regiment of Foot of the Portuguese service. He was twice wounded in the Peninsular War and was perhaps captured after the battle of the Nive. He had “a respectable fortune to expend” in 1826 when he moved to Upper Canada with his wife Marian Murray and settled near York on a farm in what is now the Parkdale district of Toronto. They had a large family. On 14 June 1827 Peregrine Maitland* appointed O’Hara assistant adjutant general of the Upper Canada militia with the rank of colonel after O’Hara had accepted Nathaniel Coffin*’s invitation to succeed James FitzGibbon*. The post that O’Hara held for 19 years had been created in 1816 when Coffin asked FitzGibbon to work as a clerk in the adjutant general’s office. By the time O’Hara was appointed there had been a history of interest in this office and in the composition of the staff by the colonial politicians. When Coffin resigned the post of adjutant general in 1837 O’Hara expected to succeed him. FitzGibbon, however, followed Coffin as acting adjutant general, and in December Richard Bullock Jr received the post. FitzGibbon and Bullock had wider contacts in the colony outside the militia than O’Hara, who was dismayed at the “anomalous peculiarities of Canadian patronage,” by which persons professionally not as well qualified, he felt, but better assimilated into colonial life, were entrusted with the post. He conducted a lengthy correspondence with the imperial authorities in an unsuccessful attempt to redress his grievance. In early December 1837, when William Lyon Mackenzie*’s force gathered north of Toronto, O’Hara led part of FitzGibbon’s force that headed north to meet the rebels. Two years later, he asked for a seat in the Legislative Council, but was rebuffed. In 1846 an act established the province’s militia and the post of assistant adjutant general was abolished. O’Hara was not seriously suggested for the new post of deputy adjutant general and appears to have gone into retirement. In 1861, however, when Duncan Macdougall acted as deputy adjutant general for Canada West, he made use of O’Hara’s undoubted talents as a staff officer for a brief time. 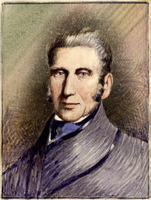 O’Hara died in 1874 in Toronto, where he had lived from his arrival in Canada except for the years 1841–46 when he lived in Kingston. He was considered as a “chivalrous, high-spirited, warm-hearted gentleman,” but he had felt himself victimized in the colony for not receiving the adjutant generalcy in 1837 and for not being regularly employed after 1846. He severely criticized the “exclusiveness of Canadian politics” which, in his opinion, had not allowed him to use his full talents. PAC, RG 9, II, A1, 2, f.195. PRO, CO 42/470, 119–53., Arthur papers (Sanderson), 11, 94. The Gentleman’s Magazine: and Historical Chronicle (London), LXXXII (1812), pt.1, 575; LXXXIV (1814), pt.1, 176. Globe (Toronto), 14 Jan., 24 Dec. 1874. Upper Canada Gazette (York), 16 June 1827. Cyclopædia of Can. biog. (Rose, 1886), 485–86. Geo. Mainer, “O’HARA, WALTER,” in Dictionary of Canadian Biography, vol. 10, University of Toronto/Université Laval, 2003–, accessed April 20, 2019, http://www.biographi.ca/en/bio/o_hara_walter_10E.html.